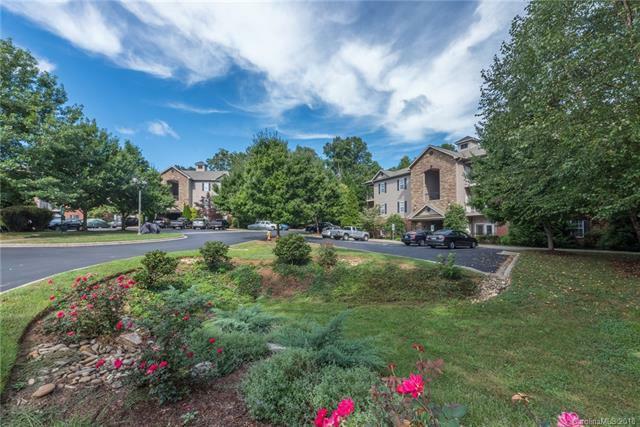 Third floor corner condo at the conveniently located Grove at Appeldoorn near Biltmore Village. Incredible opportunity to live in a community so close to both downtown and south Asheville. 9 ft ceilings with spacious flow, clean and well kept, one bedroom, one bath with sunrise and sunset views. Great natural light throughout the day with trees providing green views. A patio off the living room plus external storage. Large master suite with walk-in closet. Enjoy the community, a pet friendly and low maintenance lifestyle.